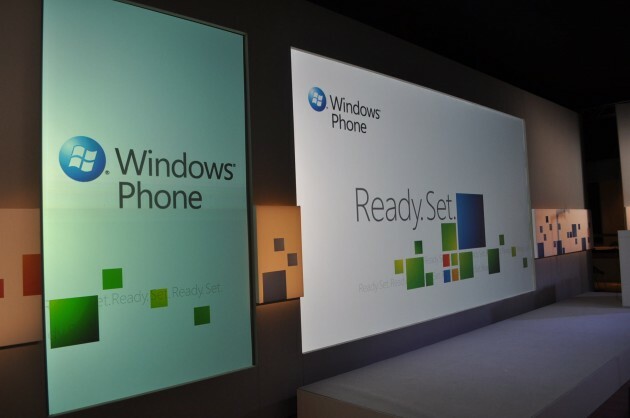 So the next generation of Windows Mobile, now Windows Phone, has been unveiled at MWC in Barcelona. Greg has already gotten his mitts all over it, and has posted his in-depth impressions over at MobileCrunch, but we thought it was worthwhile to post our thoughts on Microsoft’s new look and feel. Beautiful? Ugly? Too little, too late? Feel free to add your opinions to the pile. 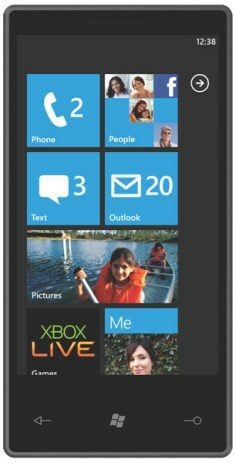 John: Windows Mobile 7 is an interesting move for Microsoft. They need this to be a success but, as we now see, they’ve basically turned off development for the 6.x platform until this launches. This seems to be the first Windows Mobile version designed for people rather than business drones, which is great. I’m just worried they’re too late to the party. Devin: I’m impressed with how serious a departure 7 is from 6.5. Having used a Zune HD for a while now, I can tell you that the UI is likely to be as functional as it is good looking, and hopefully they’ve made it even more so with the phone, without compromising its usability. I also think it’s pretty good-looking. I can actually see people picking this up and saying “wow, this is cooler than an iPhone” (maybe) — but of course, the only thing that can save Microsoft is a raftload of awesome apps, and both Apple and Google have a huge lead on them there. But good job, MS.
Nicholas: I really don’t pay much attention to phones the way that Greg does, so I’m not sure how much insight I can give here. (That hasn’t stopped me before, of course.) I do, however, use my Zune HD every single day, and I think it’s pretty great. I’d be happy with nothing more than a Zune HD + phone. I couldn’t give a toss about Apps. Matt: I’m most curious to see how the Windows Mobile community reacts to the new platform. Surely they must feel either betrayed from the massive changes or they’ll embrace what’s new. But from just the videos and reading other people’s hands-on impressions, I’m not that impressed. Maybe Windows Phone is one of those things you need to see to believe. Doug: Microsoft is smart to have started from scratch instead of updating the aging Windows Mobile operating system. It’s also smart to leverage two of the projects that many would agree have been done well so far: the Zune interface and Xbox Live. Like all smartphone platforms nowadays, though, the success of Windows Phone 7 will ultimately come down to the basics: fluid and easy to use interface, great web browser, and plenty of quality applications. Microsoft has to do each of these things correctly. It can’t afford to miss a single one since it’s so late to market. Jimin: Phone OSes always seemed too low on Microsoft’s totem pole. So it’s nice to see Windows Mobile getting a decent push with Phone 7. But we’ll just have to wait and see if it gives us anything that iPhone and Android aren’t already doing. Seems that the Xbox Live integration might be what sets Phone 7 apart from everything else. Marc: I’m glad to see that Windows Mobile isn’t going to fade into oblivion thanks to Windows Phone 7. The interface and design have finally caught up with the times and Windows Mobile users have something to look forward to. The old Windows Mobile seems so antiquated, ugly and sluggish. So far Windows Phone 7 fixes all of that. The only thing is that it doesn’t seem to offer anything beyond what others do. The UI and animation are nice, and so is the media and social networking integration. Whether it will actually hold its own against Android and the coming update to the iPhone OS remains to be seen. Of course, these are all just based on the videos, pictures, and other things we’ve seen and discussed. We are not liable for any changes to our opinions after getting hands-on with the devices. For the curious among you, there’s a pretty good interactive demo up at the official Windows Phone 7 Series site.